Buy/Shop Domestic Series – Smith Wesson Footwear Online in NJ – Some's Uniforms Inc. The Smith & Wesson Hiker is constructed for harsh environments and is built to take a beating, allowing you to rapidly maneuver through all types of terrain. 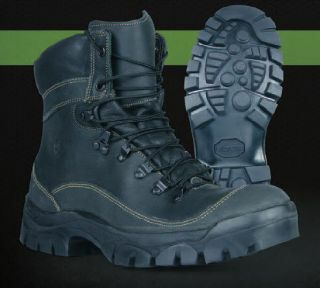 Whether hiking through the mountains, working on the job, or enjoying a motorcycle ride through the countryside, this boot conquers everything. Adding to its durability is a rubber rand all the way around the boot, a puncture resistant insole, and a Vibram® multi-terrain outsole.